With the weather feeling warmer this week, I can't help but think ahead to the summer months. Summer in Milwaukee is synonymous with Summerfest. I love the fest, but I'm especially looking forward to Katy Perry's Summerfest concert on July 7th. Thankfully, Katy Perry Summerfest tickets are available from Ticket King Milwaukee. People can't seem to get enough of Katy Perry's latest album, Teenage Dream, and who can blame them? Her tunes are catchy and they are played all the time on local radio stations. 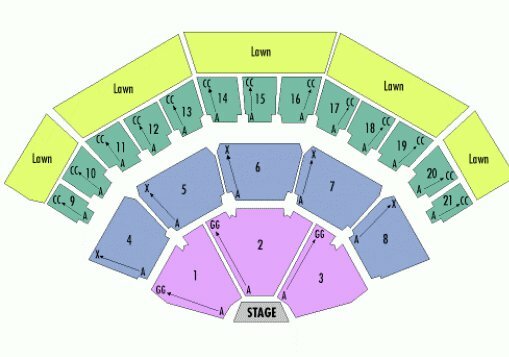 I would love to get tickets to the Pit, but I'll probably settle for sitting in the red section, preferably section 2. For those of you that are strangers to the Marcus Amphitheater, the Pit is a general admission section just in front of the stage. It is actually in front of the closest middle section, red section 2. I'd have to say that the Marcus Amphitheater is one of my favorite outdoor venues because no matter where you sit, it feels as though you are a part of the action.